Earlier this month, two former Google staffers quietly launched a new app that’s designed to help users overcome technology’s uncanny valley and develop a more healthy relationship with the ubiquitous electronic assistant that “lives” in our pockets. 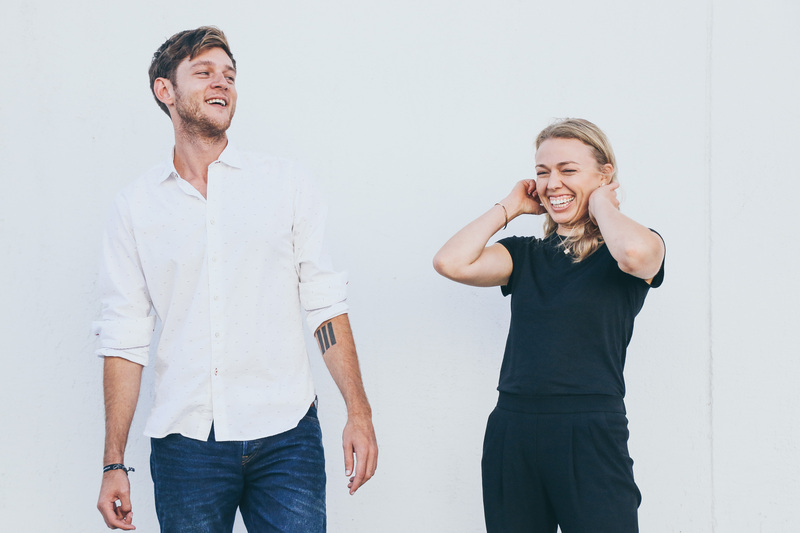 At its core, the first iteration of Maslo is a daily check-in tool that encourages and develops mindfulness, according to founders Ross Ingram and Cristina Poindexter. Once downloaded, Maslo is a voice-activated journaling tool with a basic status update feature that encourages users to log an emoji representation of their emotional state at a particular moment and spend a minute talking to the app about what’s going on. The idea, the founders say, is to have Maslo evolve and personalize as users interact with it. You can see what the company’s blobby AI looks like below. Ingram, who was a former Sphero employee working on projects like the BB-8 before he joined Google, has thought deeply about how technology intersects with the human psyche and how people create bonds with the technologies they use. Meanwhile, his co-founder noticed the same behaviors from people who were interacting with the Google assistants in their early days. “A lot of these interactions were non-utility queries,” says Poindexter, a Yale-educated sociologist, who worked on Google’s soon-to-be-announced assistants in the Pixel phone and Google Home in 2016 when she and Ingram first met. That’s perfectly clear from Google’s latest commercial. By contrast, Maslo wants to be a space where people can more comfortably address the emotional aspects of user’s lives. “It’s the way we define an assistant versus a companion… assistants help things get done in the external world and companions are going to help us get things done in our internal world,” says Ingram. Ingram left Google in December of 2016 and Poindexter followed in February. The two moved down to Los Angeles and began collaborating on the project that would eventually become Maslo. 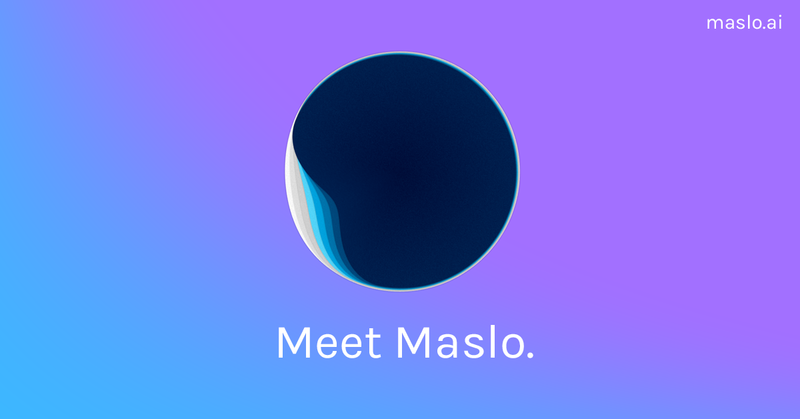 Over the long-term, the two founders think of Maslo as a gateway to interacting with other services that a user may need — and one that is completely focused on security. Other tools can help with therapy, self-improvement, education or entertainment, and Maslo wants to be the funnel that prompts users to take advantage of those services when necessary. Meanwhile transformative powers of technology and the ways in which it can provide a positive influence in people’s lives isn’t just rhetorical hyperbole for Ingram — he’s experienced it himself. At 16 years old, Ingram, who grew up in a small town in rural Colorado, faced three felony charges and expulsion from his high school for stealing a computer. Always interested in technology, Ingram came from a working class family that didn’t have enough money for him to indulge in his favorite pastime. The brush with the law could have landed him in jail, but Ingram was sent to a diversion program to keep kids out of prison; while there, the young developer decided to pursue a career in computer science. He enrolled in Denver’s Metropolitan Community College, and while attending class managed to talk his way into a job with Sphero. Ingram met the Sphero founders when they were just a collection of Boulder-based Android developers going through the Techstars program. When the company raised its first round, Sphero hired Ingram as its seventh employee and his career was off to the races. Several studies (including this one from the University of Iowa) discuss the positive effects of journaling on mental health and addressing trauma. And Poindexter said that’s where Maslo wants to begin.